The demand for echocardiograms and EKG’s is constantly increasing. Many facilities are finding that demand is outpacing their resources to keep up with interpretations. Advanced Cardiac Diagnostics is here to assist with telecardiology services. Remote interpretation alleviates some of the demands on your clinicians, allowing them to focus on patient care. Whether it is helping reduce your patient’s waiting time for an echocardiogram, or reducing the demand on your cardiologists, we can tailor our resources to help with a solution. Facilities working to decrease their patient’s length of stay. 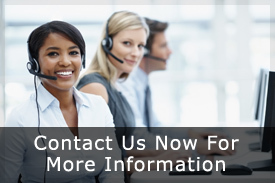 If your current interpreters are taking longer than 24 hours to return a finalized report, we can help. Report should be in your patient’s record within 24 hours, with a finalized transcribed report within 48 hours. Practices that have the need and ability to increase the number of diagnostic studies performed by their in-house technicians, but lack the provider resources to keep up with expert interpretations. We are able to work with your current interpreters. Practices that have the ability to perform the studies but lack an experienced cardiologist to interpret the studies. Has your facility considered adding echocardiograms to your diagnostic services? Practices that have a temporary shortage of providers available to interpret studies. (Advanced Cardiac Diagnostics prefer contracts of at least 6-months duration due to licensing and credentialing requirements). Over-worked providers/groups who want more free time to spend away from the office. Studies are interpreted within 24 hours.